ARSENE WENGER AND John Terry are among a number of prominent football stars who are lending their voices to the London Underground today as part of London Poppy Day. In aid of the Royal British Legion’s annual appeal, which hopes to raise £1,300,000 for the ex-Service community, the Arsenal manager and Chelsea captain head a long list of celebrities involved. Wenger and Gunners skipper Mikel Arteta will voice the announcements at Arsenal, Holloway Road and Finsbury Park stations, while Terry can be heard at Fulham Broadway, Earl’s Court and West Brompton. Tottenham pair Andros Townsend and Ben Davies will ring out at Seven Sisters, Tottenham Hale and Tottenham Court Road. QPR fans can hear Joey Barton and Rob Green at White City, Wood Lane and Shephard’s Bush Market with Fulham duo Scott Parker and Dan Burn at Putney Bridge and Parson’s Green. It isn’t just footballers supporting the event, with the likes of Stephen Fry, Barbara Windsor, Joanna Lumley, Brian Blessed, Terry Wogan and Baroness Tanni Grey-Thompson also involved. In addition, two trains, an overground train and 10 buses will be wrappped in a special poppy design incorporating John McCrae’s famous poem ‘In Flanders fields the poppies blow’. Sir Peter Hendy CBE, London’s transport commissioner, said: “This time of year is always poignant as the nation remembers those who made such profound sacrifices, and this year is particularly important as we mark the centenary of the start of the Great War. Email “Mind the gap! Wenger lends voice to London Underground announcements”. Feedback on “Mind the gap! 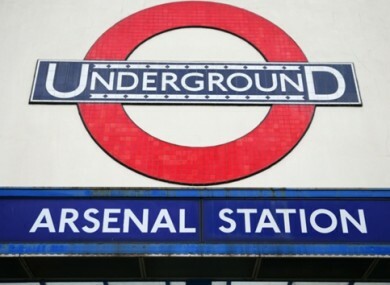 Wenger lends voice to London Underground announcements”.